It was easy to feel peaceful in the lush, green surroundings of the Asilomar Conference grounds where the summer A.R.E. conference was held. Here one doesn't surrender the forest for the sea since both are equally present. Wooden walkways wind through the conference center and out to the beach where the salt scent of the sea and the sound of the waves create a warm greeting for the heart. A.R.E. 's C.E.O., Kevin Todeschi, and his wife, psychic Mary Roach, were the key speakers. A pre-conference numerology class was offered by Henry Conlan and a powerful past life regression was conducted by the A.R.E. 's Development Director, Pat Belisle. Soul is the part of us that is eternal. Our path is to grow closer to our creator. Our human experience is reflected in the story of the prodigal son. We may wander off to explore the world but we come back to our source. That source is ultimately within us. So, how do we cultivate that magnificent relationship from which all others spring? Cayce encouraged us to choose an ideal. We can update our choice as we grow. Love, tolerance, forgiveness are three examples of an ideal one could pick for a period of time. To make it applicable, we break it down into a pattern of being, thinking and behaving. For instance, our hand-out highlighted love as the spiritual ideal in the section marked "to be." Some mental attitudes listed under "to think" were love, compassion, and forgiveness. We're continually growing in our association with God. Therefore, whatever emotional responses we have to our circumstances sets in motion a different set of learning. Cayce emphasized that there was a purposeful experience for each. He expressly encouraged us to energize positive patterns in our lives and let the negative aspects dissipate from lack of attention. Mr. Todeschi gave the example of an unconscious co-creator: like someone going to the movieplex and seeing whichever feature the ticket-taker gave you. A conscious co-creator can choose a way of being (an ideal) that feels the best fit for now and then create ways to live it, as exemplified above. "You can become a Christ or a Frankenstein," Cayce said. The choice is yours. Cayce emphasized the value of regular prayer and meditation. Interestingly, he said if you couldn't find a consistent time to meditate, pick 2 a.m. Most people know where they'll be at that hour and would simply have to wake themselves from sleep. People who have consistently meditated at 2 a.m. reported having powerful psychic experiences. We formed groups of four or more and each person wrote on a slip of paper: What do I need to work on spiritually? We signed our names, and then folded the pages into quarters, which were shuffled before each of us got someone else's to hold. As you felt the energy emanating from another's paper, you were then prompted to think of a movie, whatever came to mind in that moment, and then a scene from the movie, and I think an actor. Afterward, we went around the group and each person shared the images they'd received for their page. A group member got Field of Dreams when holding my page. Her scene was when the famous baseball players show up on the field. She saw Kevin Costner as an actor of substance. I saw The Godfather II for the page I held. I forget the scene but the actor was Al Pacino powerfully playing Michael Corleone. We only had a few moments to connect the images with what they might mean for the receiver. It would have been fun to spend more time as a group sensing how the movie might relate to that person's life. There was so much interesting information that we had to keep moving forward. Culled from the Cayce readings was a "Daily Dozen" list of actions to balance our lives. Examples: Eat a raw vegetable salad, eliminate fried foods, smile at a stranger. Another hand-out illustrated Cayce's correlation between the Lord's Prayer and our chakra system. Verse: And the Glory Forever. Amen. Overall Awareness: Awareness of Oneness. As a group we focused and meditated on the affirmation: "Not my will but thine, oh Lord, be done in and through me." Mary Roach provided an overview of world consciousness that charted the Piscean age as having begun with Jesus 2,000 years ago. That age began dying around 1945, the end of World War II, the death of Edgar Cayce and the explosion of the atom bomb. Ms. Roach highlighted Phil Donohue as a TV personality who influenced us by opening up frank discussion of personal topics such as therapy, divorce, eating disorders, etc, that were previously kept under wraps. I would also include the EST training, which came to prominence in the early 70s and 80s. EST was a profound player in consciousness expansion, the effects of which are still felt today. Ms. Roach experienced another notable shift in consciousness during the 1987 Harmonic Convergence. She sees these shifts moving our development up the octave scale. We start with personality (self-oriented) and move to the second octave where the focus is on the soul and the consciousness of "we" rather than just I. "It's here that you become the person you need to be because of the wound you've sustained." Octave three brings us to God/Oneness, which she depicts as heaven on earth. It's here that we are co-creators with the divine. Mary portrays us going up the octave scale: do, re, me, fa, so, la, te, do, climbing another consciousness rung with each scale. From a Cayce perspective, our goal as souls is to bring heaven into the earth. Thus, we start the way a baby does: self-focused. In this stage we learn about power vs. love. We undergo karmic lessons and develop a sense of personal identity, talents and skills. Here we look for love that's easy. In the second stage (or octave), we move from personality level to soul. Now it's about us rather than just me. We learn to balance power and love and find mastery through our karmic lessons. In this stage we use the wounds we've sustained to transform ourselves into the people we need or choose to be. Our awareness allows us to challenge and master patterns that no longer serve soul development. We become co-creators in life rather than mere students at earth school. In this stage we learn unconditional love. One way of learning unconditional love is to love someone who can't love you back. In the third octave we shift to God and Oneness. It's here that we experience heaven on earth. These stages of evolution remind me of Carl Jung's depiction of soul's growth. Ms. Roach sees 2008-2012 as the Feminine age. This is a time when spiritual souls come and take their true place in the world. This is also a time when outdated patterns die. Just as the newborn's push from the womb can be perceived as death, so our emergence may take on the trauma and adventure of new life. *CDs and tapes of this conference are available through www.caycegoldengate.com/audio_recordings.shtml. **Lorrie Kazan is an award-winning writer and psychic. 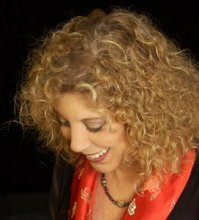 You can read more of her articles and sign up for her free prosperity and psychic newsletters at www.ilovemypsychic.com.